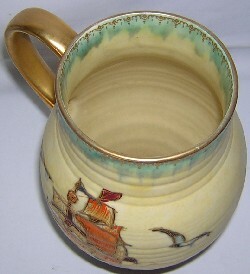 ITEM D63 - Crown Devon Fieldings Galleon pattern jug pattern M169, c1930s-mid 1940s. 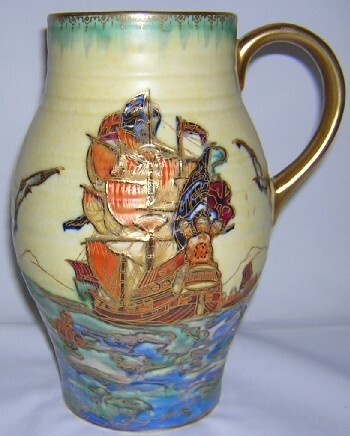 A really stunning Crown Devon ewer jug decorated with a galleon pattern, Crown Devon pattern number M169. 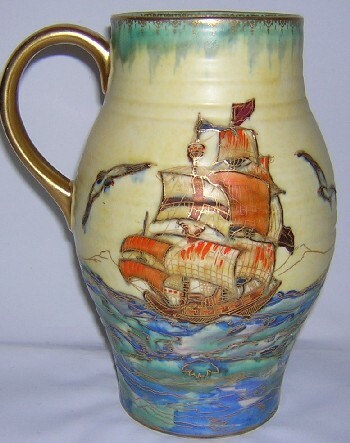 This jug is decorated in a yellow matt glaze with an enamelled decoration, finished in gold. 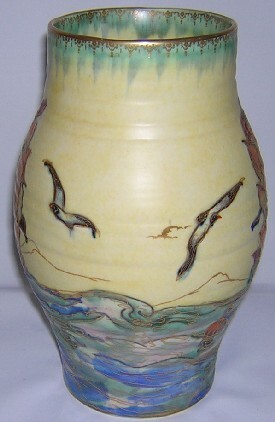 This jug is approximately 9" high and 5½" wide. 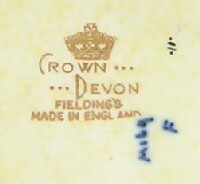 On the base it has the gold Crown Devon Fieldings printed pottery mark, and dates c1930s-mid 1940s. 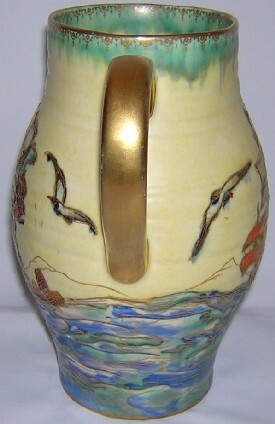 Condition: Excellent overall condition with some very light crazing and light wear to the gilt on the rim. 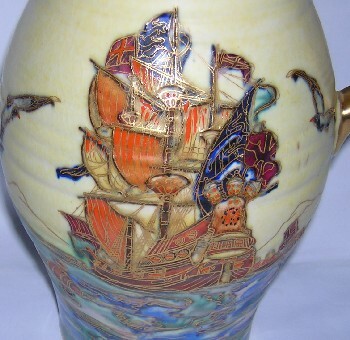 A superbly hand decorated piece with really fine decoration.